Mike Gibb’s chunker - Wood Chunkers - Drive On Wood! This vehicle stance was all the rage when I was in high school in the 60’s. Makes it go faster since it is going downhill all of the time! Oh that is so cool how you got it Jack up off the ground. Now you can put some really big tires under it. I bet it would look great with flames painted on it. Yup I remember the 60s with leaf spring spacer shackles on the back part on the spring. You were always driving down hill in the car. I came from the 50’s when we all had “tail dragers”. 2 to 4 inch lowering blocks in the rear. TomC---- I made a set of lowering shackles for the rear of a buddies 47 Ford. He and a friend drove to Florida and got stopped 5 times but no ticket. Finally they asked the last cop why he stopped them. He said, “any time we see a car sitting that low we KNOW it is hauling “shine””. I like the dump truck ! ! And the chunker. Sure are a lot of shakers and movers on this forum. I agree, the dump truck with a gasifier running it would be cool. Today I chunked up about 10 buckets of 1” to 3” diameter maple trees. I resharpeened the cutter wheel from a 45 degree to about a 30 degree edge. It cuts easier and less splitting and no damage to the edge noted. It cuts easier and less splitting and no damage to the edge noted. Thanks Mike G i will keep that in mind when i change my wheel out for a pipe sleeve cutter as yours, is there a better size wheel you would recomend. I fould another 3500 ford axel and its slittly larger than the one i have so i will save it for spare. Maybe the one i am useing was a 2500. The one i am saveing is about1" bigger backer plate bolt patturn, or slittly less than inch bigger.i know what you mean about chunking , its much more pleasure than power sawing. Hi Mike, I was getting the same thing, then I ground the cutter back at a less angle, seemed to help a lot. I sharpened the 12” OD cutter wheel to a 60 degree edge, 3/16” wall and inside edge only. Then chunked up about 100 gallons of wood. This was a it tougher wood, maple and 3” diameter is about the limit and that is cutting at a 30 degree angle. I stalled it a few times but the large push button stop switch allows shutoff in about 1 second. My retirement stopped on 2-05-2018 when my current airport project at Paine Field in Everett, WA started up again. Good luck with your back too work experiance, Thanks for sharring your chunker changes and results, thats not too bad for the size axel, Working great. Tempretures at 90 but decided I needed the exercise so worked 10 hrs yesterday. Used all my toys, generator, 2 electric saws, bandsaw, splitter, and finally the chunker. Nice too have met you and bob mac at argoes this year, your ahead of me on wood, i am looking too make time too pile up some smiles per miles wood soon. Since I can,t seem to stay retired I have only been burning 4 to 6 buckets of wood per week. And the only time to dry the chunks is summer, I have to get after the collecting and chunking part of DOW. It was a pleasure to meet you too Kevin. Lord Willing we will see you there next year. 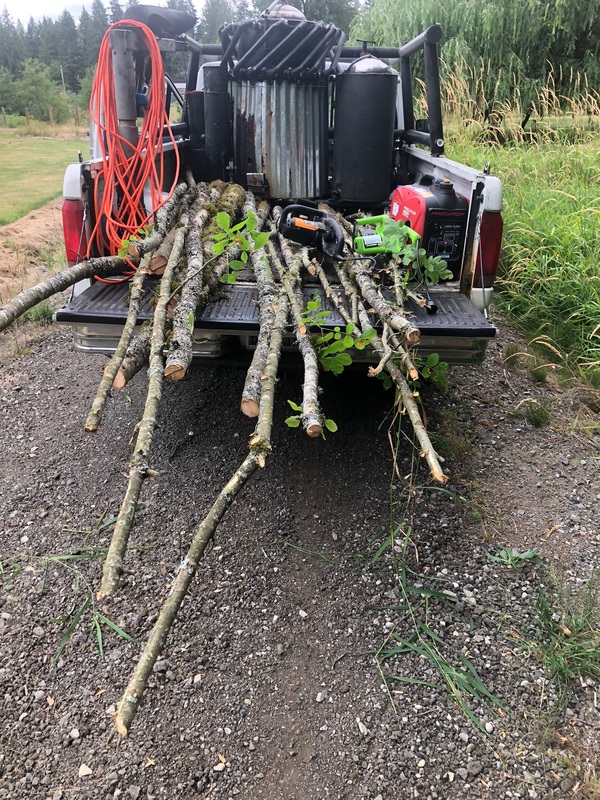 It seems hard too make time for wood chunking, when buisy working in so many other directions, i am rebuilding 2 trucks and working odd jobs, trying too make time is tough, as it is time consuming. I want too make a oven off my wood heating stove too dry in winter, first i need too stock up on heating wood too get through the hard parts of winter. Hope too make it back next year. I have chunked something over 4000 lb of wood with only 2 shutoff switch failures. But I was using 10 amp switches on a 20+ amp load. I have stalled the motor maybe 10 times total when trying to chunk too large of a stick, and managed to shut off the power in 1 or 2 seconds. But the start capacitor does not like that and finally gave up. 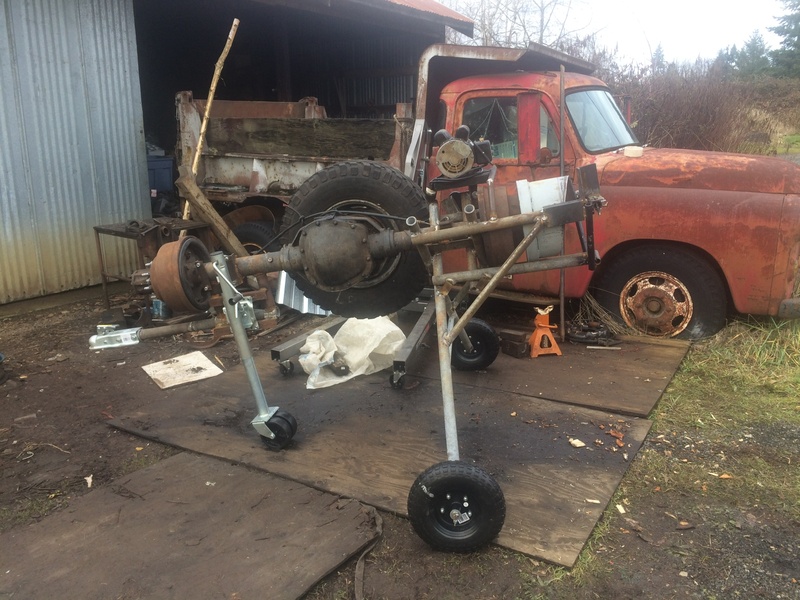 I chunked the last 20 - 5 gallon buckets by spinning the tire (flywheel) then flip the power switch. Watched some YouTube videos about electric motor repair, cleaned the start switch contact but still no start. Found a LARGE start capacitor (740 - 830 MFD at 165 v) on EBAY for $35 installed it and happy days! Hi mike gib, i am not that electric motor savy, but from what I learned from my book reading brother, the cap if its a run cap ,has too match the winding size or motor will over heat, maybe if its just a start cap a little over size probly dont hurt anything.BBB. I replaced a start capacitor and it ran fine.